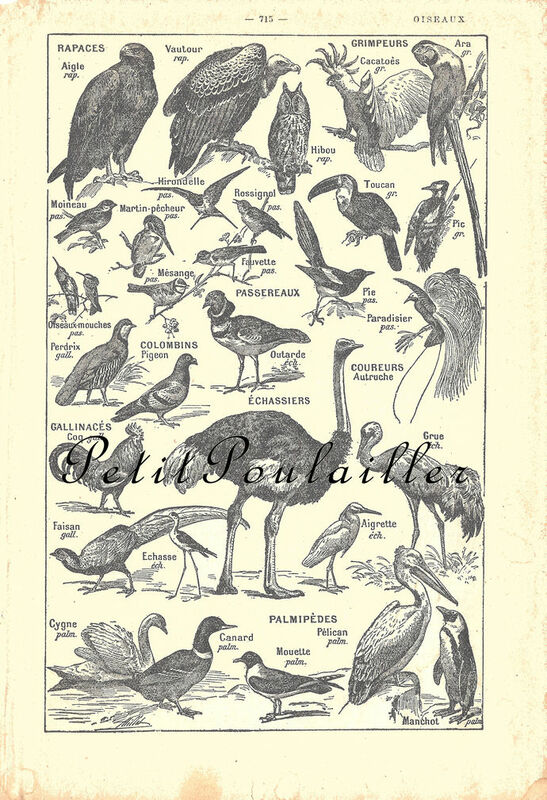 Here is a lovely paper gleaned from the 1916 'Nouveau Petit Larousse Illustre', featuring lovely birds of every sort - over 30 in all! The tanned paper measures 5" x 7.25" (13x18 cm) and the illustrations remain bright and bold. The edges are smooth and clear, the engraving is strong and clear, and the corners are sharp. The paper is clean and without tears, folds, creases, or marks. The 30+ engravings will be perfect for card and tag creations, scrap-book page making, jewelry, collage. You are purchasing an original 1916 paper and it does not have watermarks. I will send this to you flat, protected, and by USPS 1st Class mail. 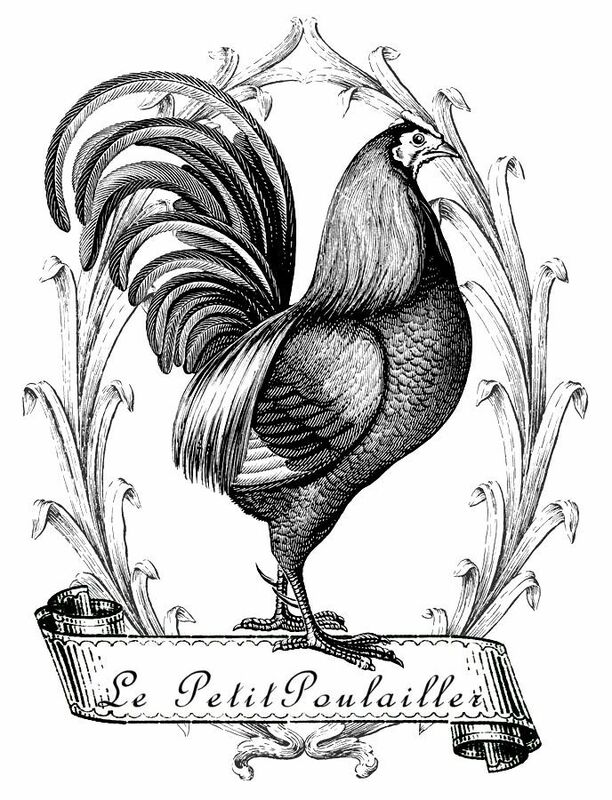 PetitPoulailler -The Finest Vintage and Antiques!